There are more varieties of slot machines than you may have ever imagined. Created in the 1800s, slots were created as simple games, working as three spinning mechanical reels. The first gambling slot machine had only five symbols: horseshoes, diamonds, spades, hearts, and a Liberty Bell. Since that first slot machine, many things have changed but the concept remains the same. The slot machine will choose a random number for each reel and will slot a symbol into a position on the reel when it stops spinning. The player wins if the reels line up symbols incorrectly on a payline. There are now video slot machines with multiple pay lines, traditional reel slot machines and progressive slot machines that can have huge jackpots. You can now play slot machines online and on a mobile phone. While slot machine technology has changed a lot aesthetically, the game still essentially works the same. Today’s slot machines are operated by a Random Number Generator chip. These RNG chips choose outcomes of the video or reels at random for every spin. There are no patterns or hot/cold streaks and your odds are the same for each spin with today’s slot machine. The only specific number that an RNG must adhere to is the payout scheduled by the game operator. Slot machines are set to return a specific amount of money that is played. The minimum amount of money returned to the player is designated by the gaming control board. The format of a slot machine still plays a role in selecting a machine. Reel slot machines continue the tradition of the original slot machines. Many players still enjoy the sound of the reels whizzing around before landing on a payline. Newer reel slot machines still feature that traditional gameplay while they try to keep up with video slot machines now have as many as nine different pay lines. Technology allows video slot machines to have as many pay lines as can fit on the screen. 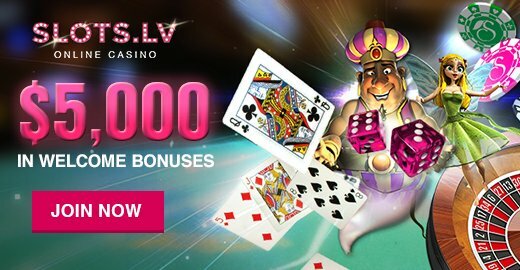 Today you’ll see video slot machines and online slot machine games with up to 100 pay lines. These games can be so elaborate to incorporate video clips of movies, television shows, and music videos. There are even communal video slot machines in some casinos where bonus rounds and progressive jackpots are generated and played by multiple players at different machines. One of the reasons that players still gravitate to reel slot machines is because many have fewer pay lines so they may take fewer credits to play. This comes in handy when playing higher limits slot machines. Typically higher limits slot machines will return a higher percentage of money than lower limits slot machines. A slot machine where one credit is equal to $5 will return a higher percentage of the money played than a $1 slot machine which will return a higher percentage of the money played than a 25 cent slot machine and so forth. Some slot machine players feel more comfortable playing three credits for $15 in a $5 slot machine because of the higher return percentage than they do by playing 50 lines in a 25 cent slot machine. It’s easier for a player to understand the math behind a slot machine with fewer lines and symbol combinations. A reel slot machine can only hold up to about 20 symbols per reel so possible combinations are limited. 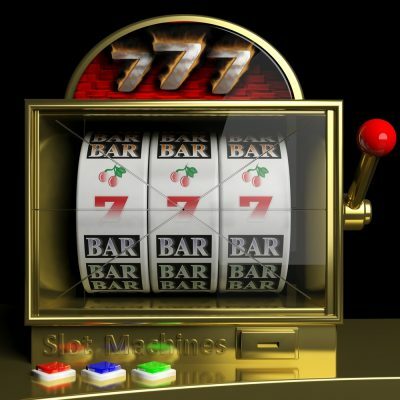 A video slot machine may have up to 100 reels and symbols. Without reading the actual odds on each video slot machine it’s almost impossible to predict the probability of winning video slot machines. It can be confusing for players who are looking for a mellow activity. This math comes into play when looking at progressive jackpots on both video slot machines and reel slot machines. Players look at the progressive jackpots and wonder if it will be easier to win with less reels than it would be with more. The RNG will dictate when the progressive jackpots will pay out but the psychology of the game may impact players preference for playing a certain progressive jackpot game. Progressive slot machine jackpots are built by players contributing a portion of their play to a jackpot to be won by one person. Progressive jackpots can be individual slot machines, groups of slot machines in a casino and now even in multiple states. Some progressive jackpots can be so large that they will change someone’s life so it’s definitely worth it to know what you’re doing.